BLAEU, W. & J. - Title page. Title page. - BLAEU, W. & J.
Map maker : BLAEU, W. & J.. Size : 12.7 x 7.7 inches. / 32.3 x 19.5 cm. 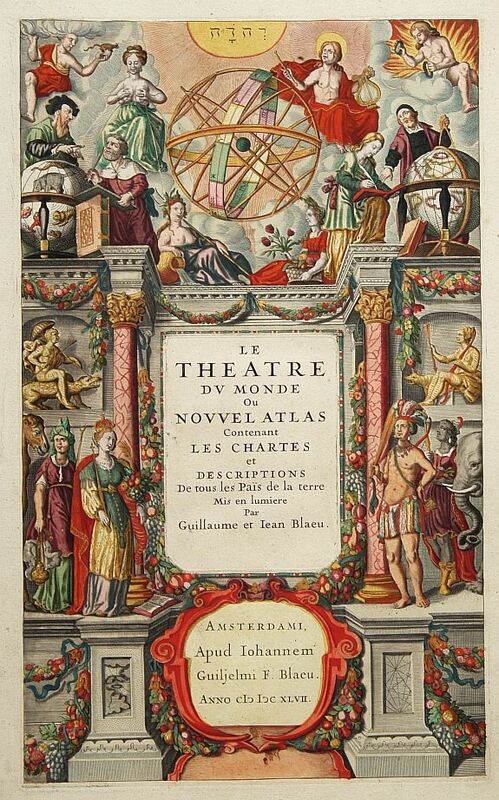 Description :Attractive title page of Blaeu's New Atlas. Very decorative, and finely engraved architectural façade, with figures. Condition : A good and dark impression. The title is printed on a paste-on slip. Several parts heightened with gold.